A travel retail exclusive no-age-statement whisky from the Jura distillery. “Turas-mara” is Scots Gaelic for “long journey” remembers the islander who, during the 18th and 9th century, emigrated to North America. This whisky follows the recent trend of these mad, multi-casked whiskies, and is matured in a combination of sherry butts, bourbon barrels, French oak, and port pipes. 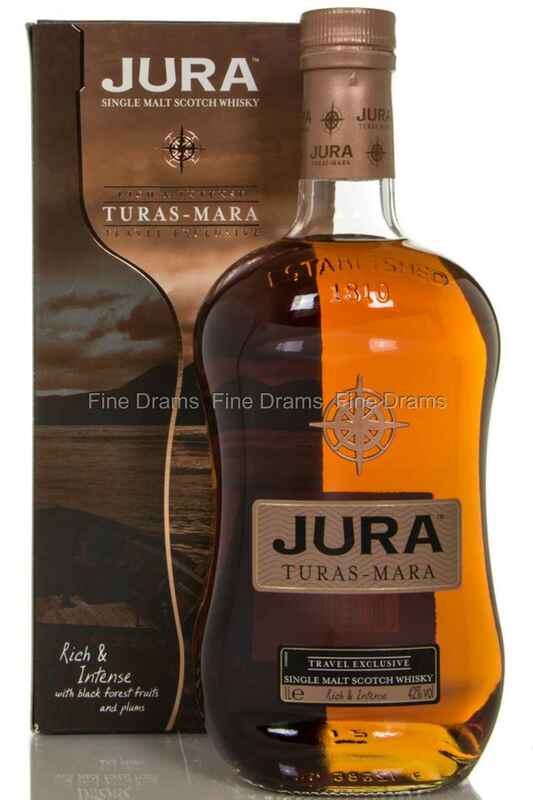 A rich and intense Jura, showing that they master the skill of combining these very different types of wood.